One of the most frustrating things about converting a van is the long, arduous build-up to when you finally get to hit the road in your creation. 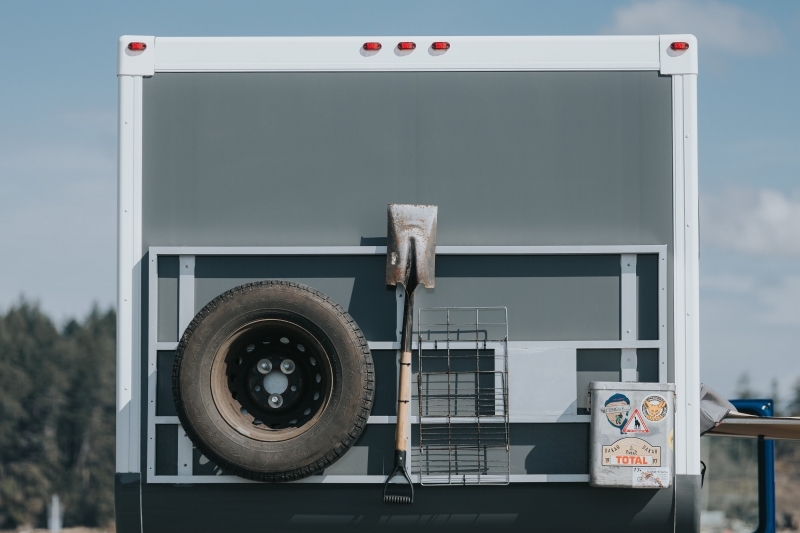 And if you’re building a DIY truck camper from scratch, that process is even longer and more time-consuming. Every task seems to take three times longer than you think it will, and there are so many decisions that can make it all feel a bit overwhelming. Well wouldn’t it be nice if somebody could just… build the body for you? And ship it to your door, flat-packed, ready to assemble in just a weekend’s work? This is where Total Composites comes in, a Canada-based company who can pre-fabricate an entire truck body and ship it to you anywhere in the world, shortening the time span between build and departure considerably. The Total Composites body panel kit can be assembled in just 18 hours. Composite panels have become the industry standard for expedition trucks and overlanders. They’re lightweight when compared to ordinary metal panels, and they’re easy to assemble. In fact, Total Composites’ panels are around 30% lighter than standard ones, and on top of that, they require no welding, meaning assembly can take as little as 18 hours. They are assembled using extrusions and high-quality adhesives, and the boxes are designed to fit many different vehicle chassis such as the Ford F-350 and the RAM 3500. The expedition panels are made to fit a wide range of trucks. 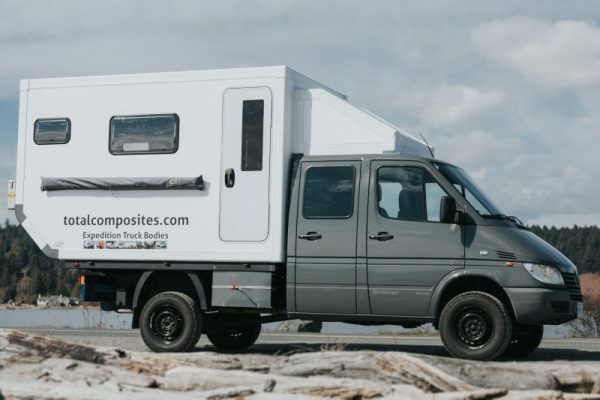 Total Composites offer a range of services to assist with a truck camper build, everything from engineering to subframe design and windows and doors that can be shipped with their panel kits. The standard camper kit body panels are 84mm (2.23”) thick with thermal transfer-free mounting points, although this is just for the rear, floor and roof panels, as the side walls are a little thinner at 50mm (2”). The panels are constructed from FRP/PU foam cores with high gloss FRP coating the front, rear and side walls. The panels are held together with thermal transfer-free 90º corner extrusions, and the panels come with mounts for an awning and a spare wheel carrier. Everything you need to hit the dirt roads. 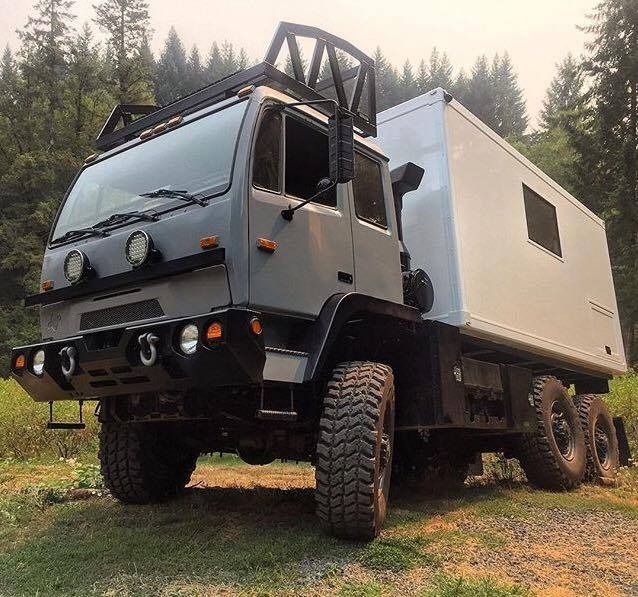 Aside from the panels being extremely well-insulated, all of the windows and doors are made by Tern Overland for use in extremely cold conditions. The windows are double pane acrylic, the entry door and composite storage hatch are both fully insulated, but there’s also a roof hatch for keeping temperatures cool in hotter climates. Total Composites does not supply interiors, so once built the expedition box is a completely blank canvas. However Total Composites does offer a range of Planar diesel air heaters, lights and under-floor heating to get you started, not that they’re really needed with such a thick wall of insulation surrounding you. They no longer offer a service of pre-cutting openings for the doors and windows, but this just means you can customize their positions too. 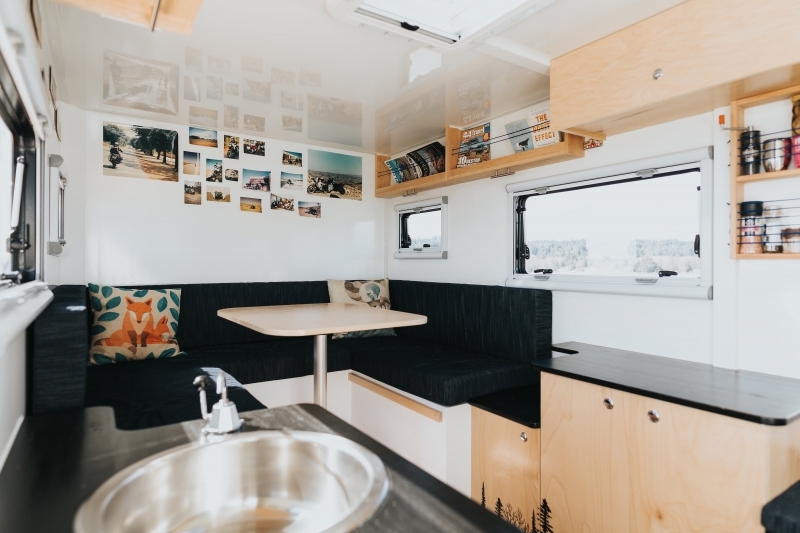 The owner of Total Composites shared a photo of the interior of his own truck camper to show the potential that his expedition panel kits have, and his is kitted out for all sorts of cold-weather and off-road adventures. The glossy white roof and walls create a light, airy interior. 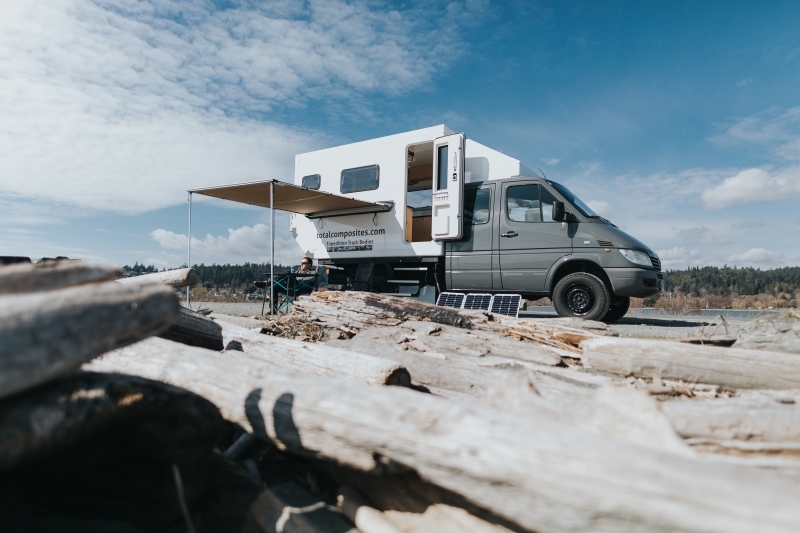 While the expedition panel kits may save you a whole load of time, they’re also going to create a rather large hole in your budget, ranging from between $12,000 and $18,000 depending on thickness, size and whether you want windows and doors thrown in. For some this may seem like a fair trade-off, for others the price may be a deal-breaker, but for aspiring overlander owners an easily-assembled, pre-fabricated panel kit could just be the answer to their prayers.